On Sunday evening, the 10th of December many of us will be sitting on the sofa watching the telly. Particularly the BBC Sports Personality of the Year Show. I for one have a particular interest as I will be voting on the night. And the person I will be voting for is a charming young man from Northern Ireland called Jonathan Rea. Mention bikers to most folks and they think either of lycra clad skinny blokes pedalling up awfy steep hills or the greasy, unwashed variety with tattoos and beards - and the men are even worse. Nothing could be farther from the truth in this case. Jonathan is a lovely and humble bloke. 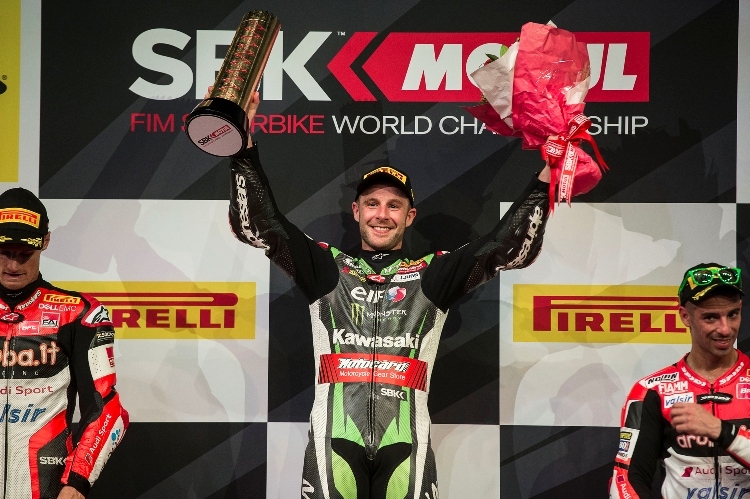 More than that he is hugely talented and hard working, and this year earned his third World Superbike title in a row riding a Kawasaki for the factory team. In the cut throat world of motor cycle racing where elbows are used to fend off rivals and knees scrape the tarmac at 190 mph, this happily married father of two goes about his business with professionalism, good humour and a well hidden ruthless streak - which only becomes apparent on the track. I don't profess to know him, but I met him a few times during his formative years in the British Superbike Championship when I was involved with the Press Office at Knockhill (crikey, that was ten years ago, and more!) and I remember him with affection. I am still a big fan. So I will be casting my vote for Jonathan on Sunday evening, and if any of you out there don't fancy any of the other sports men or women, and are lovers of courageous and gifted masters of machines then by all means feel free to vote for Jonathan. And if you weren't planning on voting, now you have a good reason. Details of how to cast your vote will be given during the show on the night and you can either phone in or do it on-line. Over to youse!